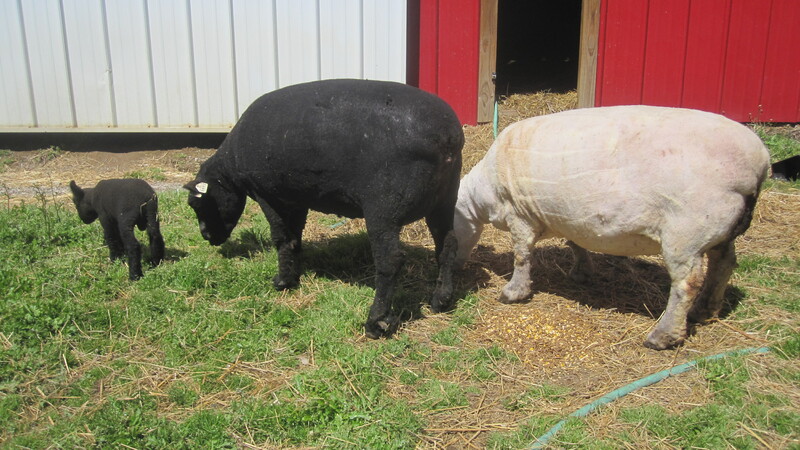 Each spring we shear the sheep of their thick wool for the warmer weather ahead. Notice how still “Pearl” is here. 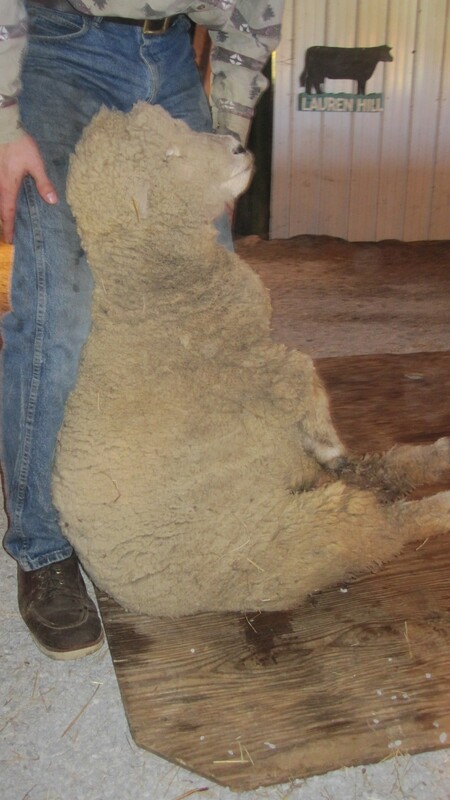 When you put a sheep in this position, they freeze. 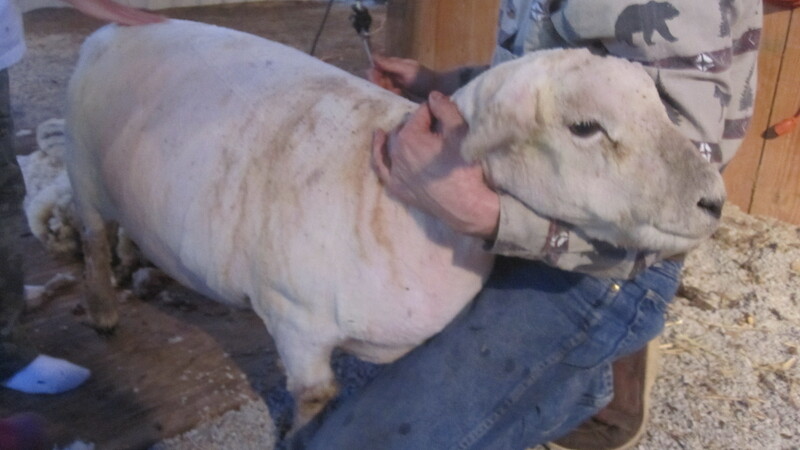 This allows you to shear them safely. 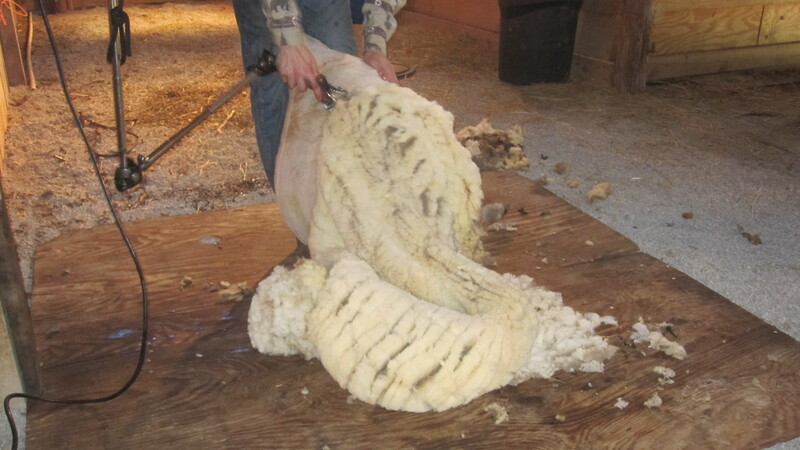 Sheared in one piece, this wool will be given to a girl at church that spins wool. They keep showing my hands and not my face on TV.